I always have a mixture of feelings and reactions when someone else refers to me as a superwoman or supermom. First, to be honest, I’m a bit pleased. I mean, who wouldn’t be when called super? It’s a compliment. It’s an affirmation that all that I try to do for myself and my family is recognized and appreciated. And in a tough, unrelentingly demanding job like mothering, there’s just never enough appreciation along the way. Plus, I’m a bit of an overachiever. I won most of the academic awards I could possibly win throughout my school years and was valedictorian. I had my academic career pretty well mapped out, and I got the full-tuition scholarship I wanted to the university I’d wanted to attend for practically my whole life. I even got the best internship in my field that I could get. I got a job out of college. I suppose it wouldn’t be wrong to say I had been accustomed to being rewarded and recognized for the hard work I did for a long time. That is, until I got married and started having children. I decided to be a stay-at-home mom, and I haven’t worked outside the home full time for about 17 years. The overachiever part of me has been starved. The accolades have shriveled up, and I have found myself seeking some kind of positive feedback for what I’ve been doing, which has been much more difficult than any academic work I ever decided to undertake. So, yeah, my starving little inner overachiever has gobbled up any little morsel of recognition, any kind comments. So if someone says I’m a superwoman, I enjoy it a bit. But I have to admit that it comes with a price. First, I have to have a week like this: sew four items of clothing, fix homemade breakfasts and dinners for my family, wash seven loads of laundry, shop, help my husband lay tile in the master bathroom, get my high schooler signed up for an online summer class so she can take art in the fall (since she’s unbelievably talented at it), make phone calls for the band booster club (since I’m secretary), play piano at church, tell the newspaper daily editor about a great photo opportunity at our church’s area youth activity (since I volunteer in public affairs), plan for a family vacation, plan a new-student gathering for my university’s local alumni chapter (since I’m the chair of the chapter), get the paperwork together to refinance our house (since I’m the family financial planner), do some editing work, and keep my book review website and blog updated. Yep, my superwoman status takes its toll. First, I’m exhausted and sometimes at the end of my rope. Second, I end up losing a grip on a few things, such as my memory. (What was I writing about?…) The worst thing, I think, that I’ve lost hold of these past 9 months or so is my health. I love to exercise, and I go to the gym every day. But I also like to bake, and eat. Unfortunately, when I’m stressed (super-stressed, shall we say? ), I tend to eat. And eat. Not carrots or celery, of course, but junk food. Ice cream, cookies, cake. The problem that has now developed is that I’ve gained about 30 pounds in the past year, pounds I worked hard to take off a few years ago after another year of super-super-stress. I no longer can wear the cute size-8 dresses that have been exiled to boxes at the top of my closet; I wear size-16 pants and size-14 dresses. It’s super-depressing. Those are kind of obvious things. Another side effect of being a superwoman that I and others don’t often think about is that people expect it from me. They expect me to continue doing the things I already do — AND they expect I can just add in MORE things! If I can do all this, I can apparently just do more and more and more, ad infinitum. I come across as endlessly capable and a bottomless pit of energy and ability. The problem with this, obviously, is that I am NOT endlessly capable, and my energies are most definitely limited. Others don’t see the price that comes from my superwomanhood, but I do. My family does. What I want when I get this ridiculously busy and overwhelmed is for others to stop asking me to do things. But what happens instead is that others CONTINUE to ask me to do MORE. Logically, it makes no sense in a way to ask people who are really busy to do more. What I’d like to do right now, in the middle of a superhuman year, is to retire like Superman did in the second movie. He fell in love with Lois Lane, she knew who he really was and loved him back, and he decided to forgo his superpowers and become a regular man and be with her. Most of you will probably know how that ended up. But I certainly understand what he was looking for, a little peace and quiet and a normal life. I can’t relinquish my powers or my responsibilities, nor would I want to. But I would like for the requests to stop coming in for a while. I’d like some genuine and heartfelt affirmation of what I’ve done and a pass on doing more for a bit, until I catch my breath and catch up on my to-do lists and am able to take care of myself a bit (like lose 30 or 40 pounds for my health’s sake). No, I’m no superwoman. I have a super family and super friends, though, and my life is mostly super. But I really am going to try to lay aside the cape for a while and enjoy what I have. Hey, Cathy! Could you help me….? I am just pulling your leg. Certainly, I can affect change in the lives of others. I can share talents and thoughts and energies with any number of people, organizations, and after-hour-work-ploys. Contrary to popular belief, it was an EMPOWERING moment. I shifted completely from my own type-B version of “over-achieve-er-hood” to the absolute inclusion of the “art of doing nothing” philosophy in every aspect of my life. Sure, I’ve made some excellent banana bread, taught gospel doctrine lessons, made connections with friends, and helped my children with their summer pursuits, but it’s because…they matter, God matters, my family matters. And whether I do, do, do, until I am worn to a physical, emotional, psychological, or spiritual thread, or sit and contemplate and get “well” for a while, I know they will be there through it all and at the end. You are a SUPERwoman. 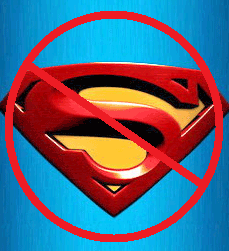 Super, as in, all the qualities that make you unique and incredible, in all the ways that mortals can be, NOT in the way super-human fictional comic characters are portrayed. So, sit down, put your feet up, and just “be” for a little while. It will recharge your “energizer batteries”, and you will be ready, more than ever, to leap from event to event, shake and bake, and tend to your garden in a single bound! One super-power that most moms forget to use is the power to say “no”. For self-preservation, it is a power that super-moms should be able to whip-up at any given moment when their other super-powers are being depleted and without feeling guilty for not saving the world every second of the day. Cathy, I say go for it. Use that power to recharge and refocus. Say “no” once in a while. You deserve it.